On Sunday, October 15 at Blockade Runner Resort we celebrated the importance of water culture to our community and inducted the Class of 2017. This award was created to reflect the importance of community spirit and personal contributions to the culture of water sports throughout the history of New Hanover County Beaches. We wish to celebrate those individuals and groups who represent sportsmanship both in and out of the water. Those we recognize with this award exemplify the best of Wrightsville Beach in their character, demeanor, and spirit both in competition and in their respect for the community. 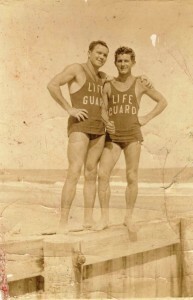 The Wrightsville Beach Museum Waterman Hall of Fame is intended to be a lasting tribute for the achievements of the generations of Wrightsville Beach watermen and women who have shaped this community and its relationship with the water. Wrightsville Beach was established because of the beauty and lure of the ocean and its marshes as a place to fish, sail, swim, surf and recreate on the water. The Hall of Fame will embody the values exhibited by the best of those who have made their home here based on that relationship with the water. The Wrightsville Beach Museum Waterman Hall of Fame awards are selected by the Wrightsville Beach Waterman Hall of Fame Board comprised of members of the Wrightsville Beach Museum Board of Directors and community participants who represent a cross-section of those who have been a part of Wrightsville Beach water sports throughout the decades. There will be an emphasis on diversity of generations and sports within the Hall of Fame. Nancy Fahey has been the driving force of the stellar local institution, The Wrightsville Beach Sea Turtle Project for the past 20 years. 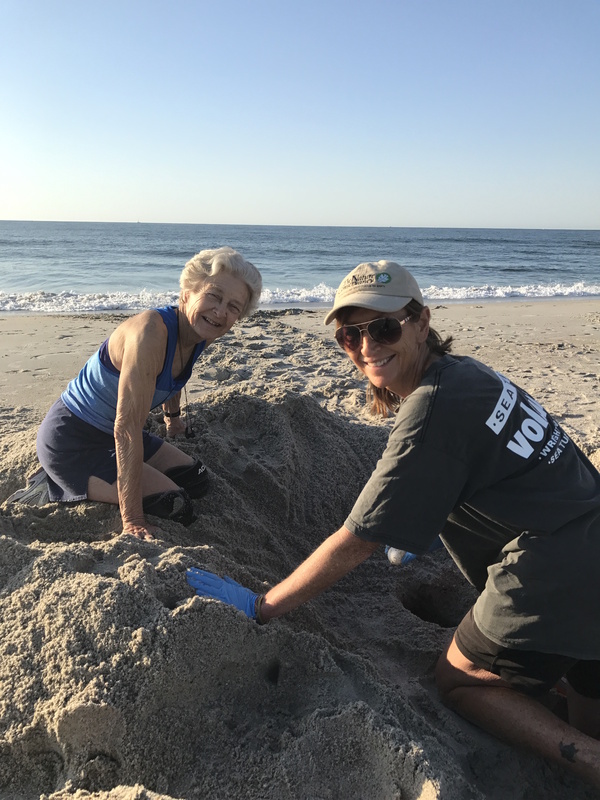 Coming from West Virginia, Nancy had no experience with sea turtles until she fist began volunteering with the Wrightsville Beach Sea Turtle Project in 1995. As she watched her first hatchings she was hooked. It changed her life. 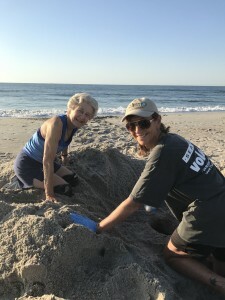 Over the years she has lead a committed group of volunteers to walk the beach at sunrise from mid-May to the end of August looking for any signs of sea turtle nests. Six volunteers walk the beach each morning, scanning the sand for any signs of sea turtle activity. They record and mark the nests, monitoring them during their incubation period. Nancy is available day or night to assist with sea turtle aid and rescue. She shares her work about sea turtles and their life cycle through her Turtle Talks she gives on a regular basis each year. Her knowledge of sea turtles is not her only strength as a naturalist; she is also a blue bird expert. Nancy’s work in sea turtle conservation has been extraordinary in her commitment and outreach. Reggie began skateboarding and surfing as a kid and later began competing locally and up and down the East Coast as a freestyle street skater. In Huntington Beach California he began competing on a professional and national level. In the early 1980s Reggie settled in the Wrightsville Beach area starting a construction company. In 1985 Reggie started Eastern Skateboard Supply (ESS) in 1985 and is currently operating this successful business in Wilmington, N.C.
Reggie is a competitive surfer and stand-up paddle surfer and an accomplished triathlete. He brought the first 6-man outrigger canoes to Wrightsville Beach and instrumental in starting the WBOCC (Wrightsville Beach Outrigger Canoe Club). He trains regularly and competes in local and world outrigger canoe races. Reggie loves Wrightsville Beach and its traditions and is dedicated to maintaining the small-town low-key vibe of its residential and commercial scene. Reggie is a proven Waterman. He has excelled due to his competitive spirit, hard work, integrity, and commitment and care for his family, business and community. 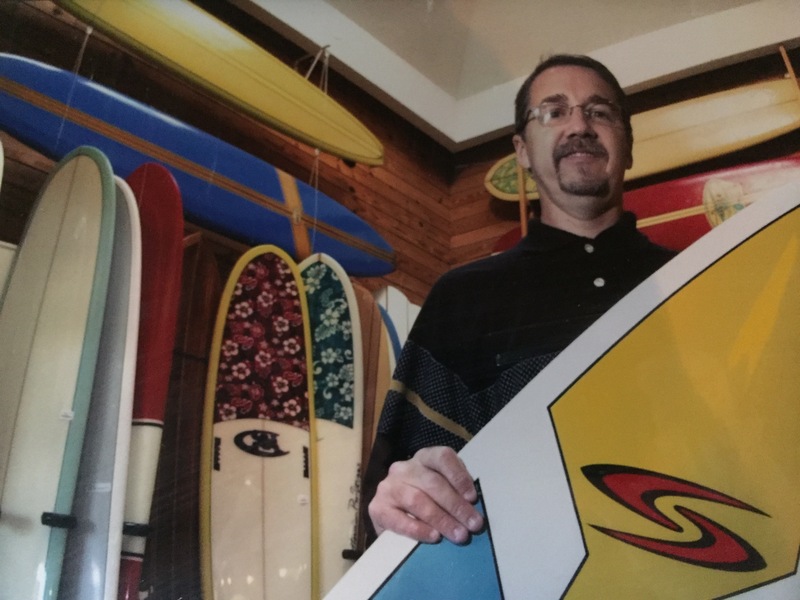 Roy Turner’s connection to the Wrightsville Beach Surf Community began in the 1970s, while working at Wacky Golf Skateboard Park and managing Surf N-Stuff Surf Shop before partnering in 1980 with Mark Allison to open Surf City Surf Shop. 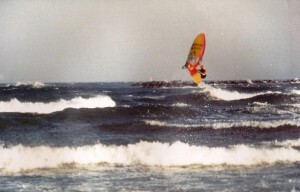 Roy worked to bring top-flight surfing contests to the area such as the Record Bar contests in the 1980s. He also brought national skate celebrities to Wrightsville Beach helping connect the community on a national level to surf and skate industries. On the local level, he worked with the parks and recreation department throughout the years to help develop local surf laws and regulations. In 1999 Roy Turner worked with Herb Walker and Bill Curry to establish the Wrightsville Beach Longboard Association. In 2003 he sold Surf City to store employee Mike Barden and Turner founded the Board Retailers Association. BRA currently serves more than 3500 action sports storefronts across the country providing services, education and a voice within the action sports industry. Throughout the years, he worked with the parks and recreation department to help develop local surf laws and regulations. In 2007 Roy Turner accepted the position of tradeshow director for Surf Expo, the largest and longest running board sports and Beach lifestyle tradeshow in the world. Currently Roy is involved with industry associations including SIMA, WSIA, AWSI, SUPIA & WSN and works closely with the East Coast Hall of Fame, Florida Surfing Hall of Fame and ESA. In 2007 he was listed as one of the seven most influential people in the surf industry by ‘Transworld SURF Business Magazine. Ryan has been diving and surfing since the age of 10 and 15 he was already an advanced diver with aspirations of working for National Geographic. He is a UNCW Marine Bio graduate, owns a successful lifestyle apparel business, freelances as an outdoor media producer and has been a dive instructor for 20 years. Since a young age he has been committed to documenting, sharing and conserving the sea while also enjoying the action and lifestyle that accompanies such a path in life. After college he moved to Kona, HI where he flourished as a surfer while exploring the art of freediving and sport of spearfishing. His photography skills improved and began leading outdoor tourism expeditions while documenting the excursions. He utilized the emerging online podcasting revolution as a vehicle to launch himself into a global spotlight through his syndicated and internationally acclaimed video series titled IN-SEAtv. 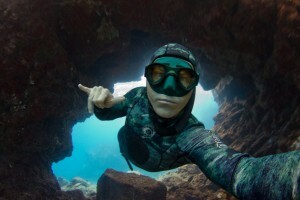 Specializing in sharks, his photo and video portfolio landed him an impressive credit list of magazine and television products (like Outside Magazine and Discovery’s Shark Week) including his most proud professional moment with National Geographic Television where he was the first to film a “selfie” video riding the dorsal fin of a fifteen-foot Great White Shark. For the past 13 years, Ryan has been Director of the local chapter of the national Mustaches For Kids charity organization, where hundreds of Wilmington men have gathered in November to grow month-long mustaches and raising over $500,000. 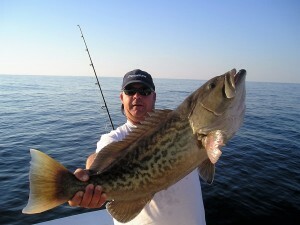 He is a 3rd generation Eagle Scout, Photo Editor at Spearing Magazine and owner of IN-SEA Brand Apparel. 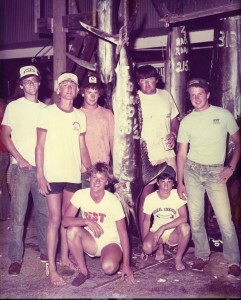 A native of our area, Sammy grew up fishing in Cape Fear waters. He started in the recreational fishing field working as a mate on the Whipsaw. He then moved into the profession of commercial fishing and served for many years on the advisory committee of the Marine Fisheries Commission, becoming the MFC’s chairman in 2014. He is especially qualified for this position with his extensive experience in both the recreational and commercial fishing professions, two groups that often have conflicting priorities. His love of the local waters, his vast experience in fishing these waters, his generosity toward others in his professions, and his public service with the Marine Fisheries Commission make him a valued member of this community and worthy of the Waterman Hall of Fame. Celebration and Induction was held at Blockade Runner Resort on Sunday, September 25 at 2PM. Marine Max of the Carolinas is proud to be the Marine Industry Partner for the 2016 Class of the Waterman’s Hall of Fame. 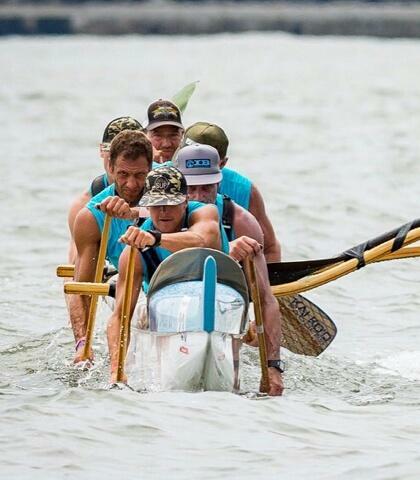 We are excited about the opportunity to be associated with this community and its efforts to recognize those that support watersports and the marine industry in particular. 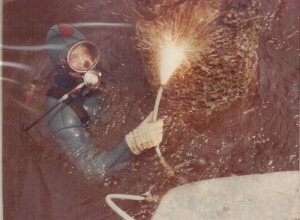 A graduate of UNCW and a long-time resident of Wrightsville Beach, Kevin has grown a passion for the difficult and often dangerous work of a commercial diver into a thriving local business. Kevin and his business partner, Mike McCarley, started by completing local dives on commercial marine construction projects and have expanded into a business that includes a private port just south of the state port and marine consulting throughout the world. Kevin has used his business success to give back to the community in various ways over the years contributing to schools, non-profits and organizations that promote the longevity of Wrightsville Beach. Robbie started fishing at the age of 10 on Johnnie Mercer’s Pier. At 14 he was mating on his father’s charter boat, the Whipsaw. Robbie still runs the Whipsaw, consistently winning fishing tournaments, making it the longest- running charter boat in the area. Robbie’s long-term commitment to charter fishing and his willingness to teach and look after other local fishermen over the past 30+ years is commendable. He is a wholesome, humble individual who cares deeply for our ocean heritage and is highly respected by his peers. 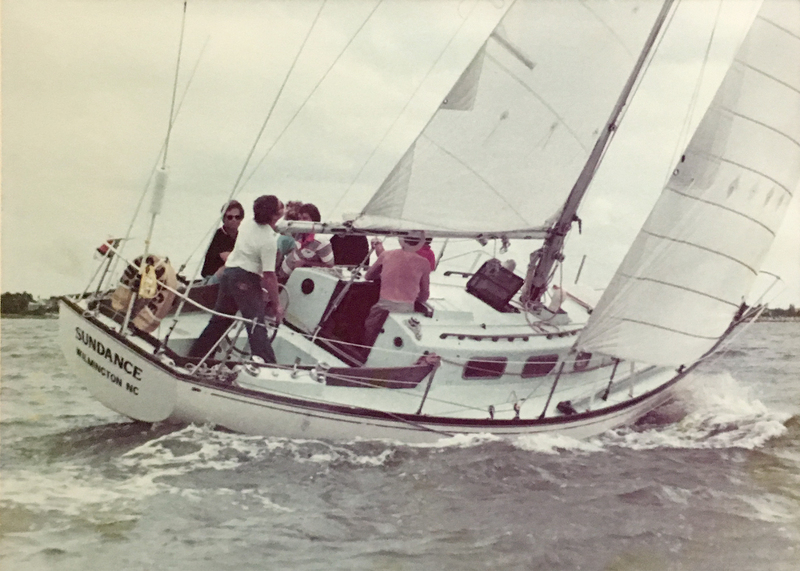 Martin Willard has lived and sailed his entire life at Wrightsville Beach, starting to sail solo at the age of six at the Carolina Yacht Club and racing at 12. Over his 52-year sailing career he has competed, won or placed in the top 10 at the local, regional, national and world level in sailing and windsurfing. Today, Willard continues to actively compete in the Master Laser Class at the world level. He has been active in advising the Jr. Sailing Division of the Carolina Yacht Club and UNCW Sailing Club. 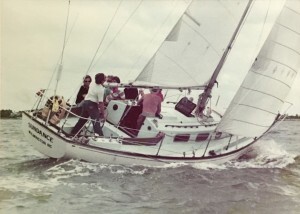 Through his former business, The Ship’s Store, he organized and ran regattas and races from windsurfing to Hobie Cats. 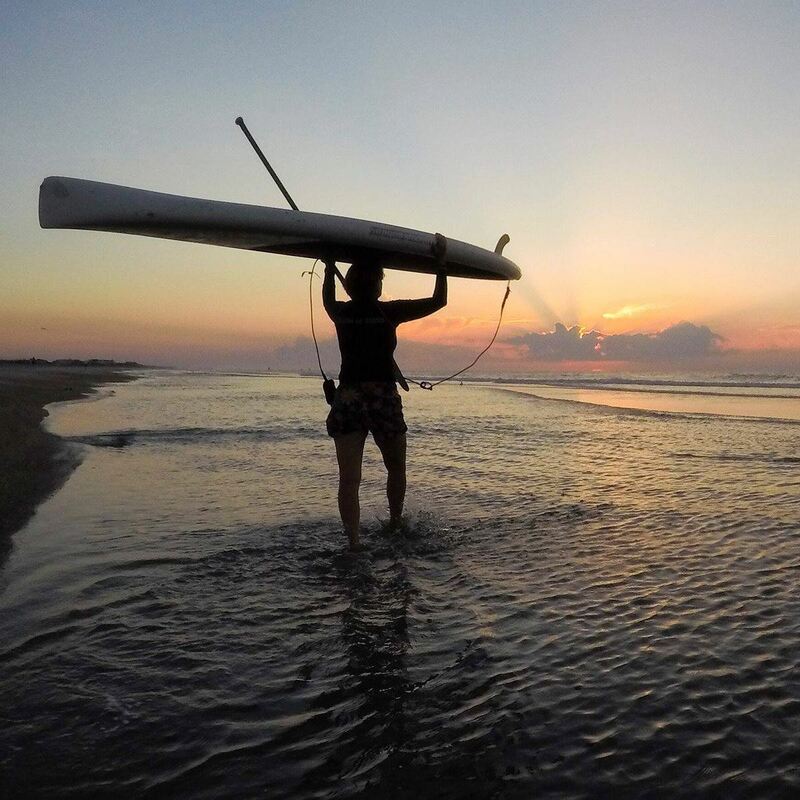 Martin is a true waterman and a reflection of his family’s long-term presence in the area, actively fishing inshore and off shore, kayaking, paddle boarding and surfing. He is well-respected and gives a humble demeanor to his accomplishments. 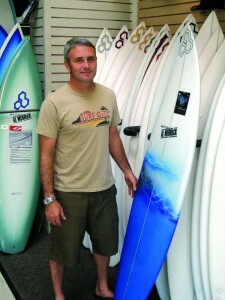 Mike Barden has been involved with Surf City Surf Shop since 1988 and has been its owner/operator since 2003. He opened the Annex offering fair trade and organic coffee and smoothies, with a community vibe of art, surfing and music. Mike has served, supported and help grow the Wrightsville Beach surfing community for over 27 years. Mike is a strong, positive role model for his young employees and the surfers who flock to his stores. He has generously given his time and talent to the local surfing community. He is admired as a fair businessman, a devoted family man and an influential figure in the local surfing world. At less than 30 years old Tony Silvagni has won 3 world championships and is ranked #5 in the world as a professional longboarder. He moved to Carolina Beach with his family at the age of 5 where his love of the ocean and surfing in particular began to grow. By 18 he had secured a place on the ASP World Longboard Tour. In 2011 he won a gold medal at the ISA World Games. 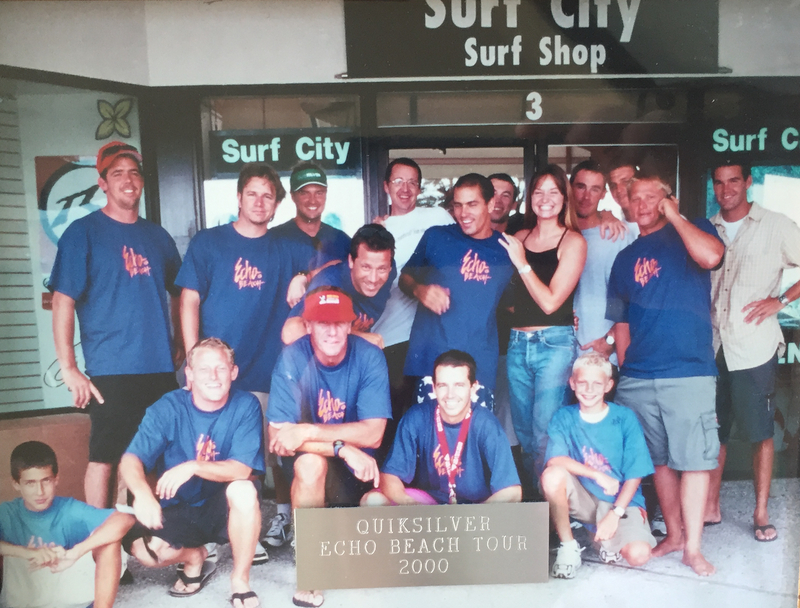 In 2008 Tony started his Surf School where he imparts his love of the sport and respect for the water and good sportsmanship. 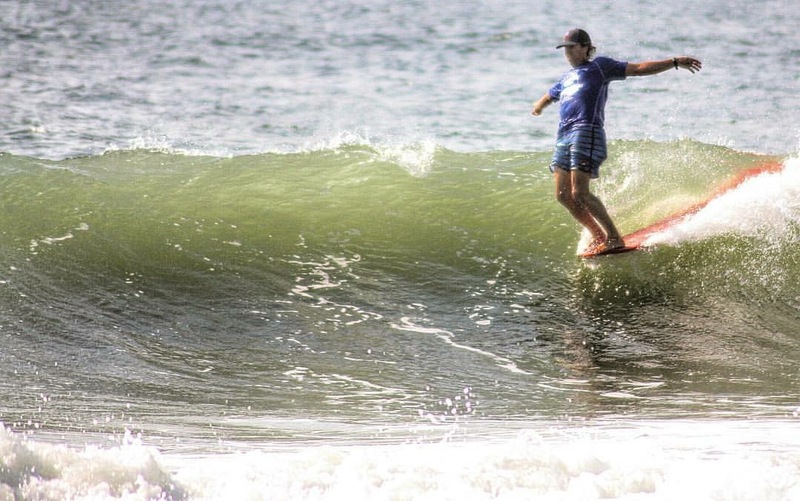 He created the first longboard club at Carolina Beach built around surfers giving back to the community and getting local competitive longboarders up to the national level. He has raised tens of thousands of dollars for this endeavor and for the Pleasure Island Lifeguards. He has assisted the lifeguards or rough days, where in 2010 he assisted in over 27 saves in one day, receiving a lifesaving award from the Town of Carolina Beach. Tony has always strived to serve as a good role model and positive example to those around him. His infectious energy and positive personality make him an exceptional advocate for the sport of surfing. Tracy Skrabal is the Southeast Regional Manager and Senior Coastal Scientist with the North Carolina Coastal Federation. A citizen’s- based conservation group working with many partners to ensure clean water and natural resource protection in NC’s 20 coastal counties. In addition, she lives the life, surfing every day that she can, often arriving at work with her hair almost dry. Ask almost anyone you bump into at Wrightsville Beach or even Wilmington and they know Tracy personally or know of her kindness, commitment to our youth, commitment to our coast and clean waters for all to enjoy and use. Her personality, humor, background, intelligence and tireless advocacy for our coastal waters make her a great example of one whose love of the water and its sports has led her to work to protect it through example and education. Since 1997 Tracy has provided mentoring and experience in coastal stewardship to well over 500 high school and college students. She is a recognized leader and sought after community activist who supports many causes that relate to our beaches, clean water, community inclusiveness, and beach access. Tracy has been an active member of WBLA for a number of years, serving as Conservation Liaison. She has worked as a volunteer with the Surfer’s Healing program and advocated for improved beach access for all. She volunteers for annual SUP events in Wrightsville Beach and is an avid open water swimmer, surfer and Paddle Boarder. TRACY SKRABAL was inducted into the Wrightsville Beach Waterman Hall of Fame this year, as its Woman of the Year. Skrabal is the southeast regional manager and senior coastal scientist with the North Carolina Coastal Federation. “Having grown up around watermen, it is very humbling to be considered as one within this community,” Skrabal says about the honor. The Wrightsville Beach Museum of History board selected the six inductees. The award is meant to “reﬂect the importance of community spirit and personal contributions to the culture of water sports throughout the history of New Hanover County Beaches,” according to the museum.